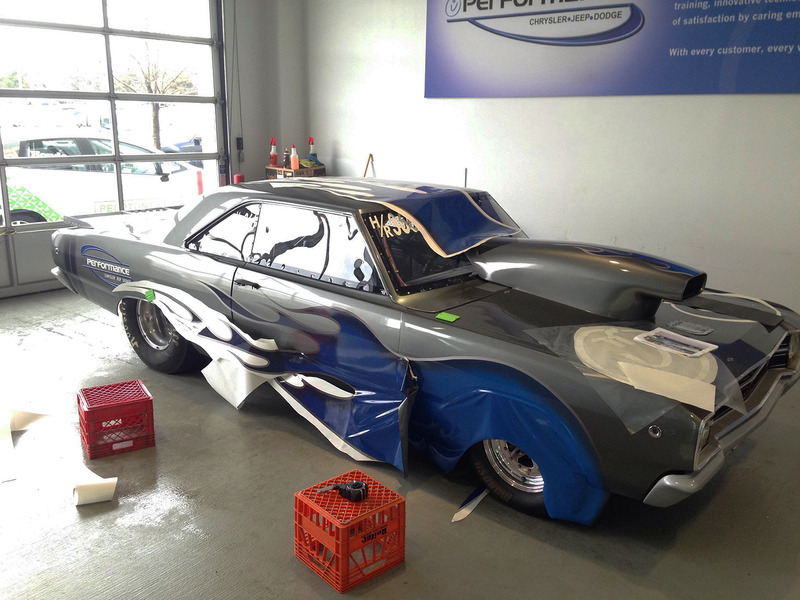 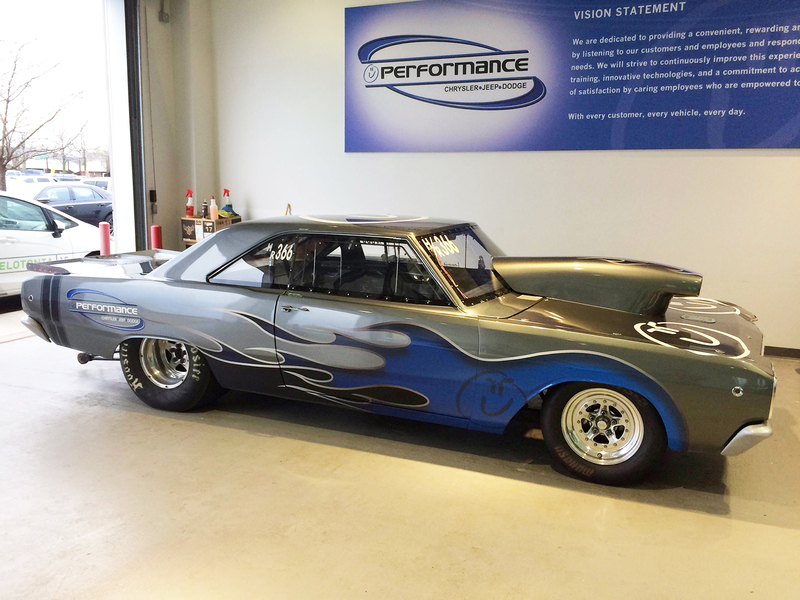 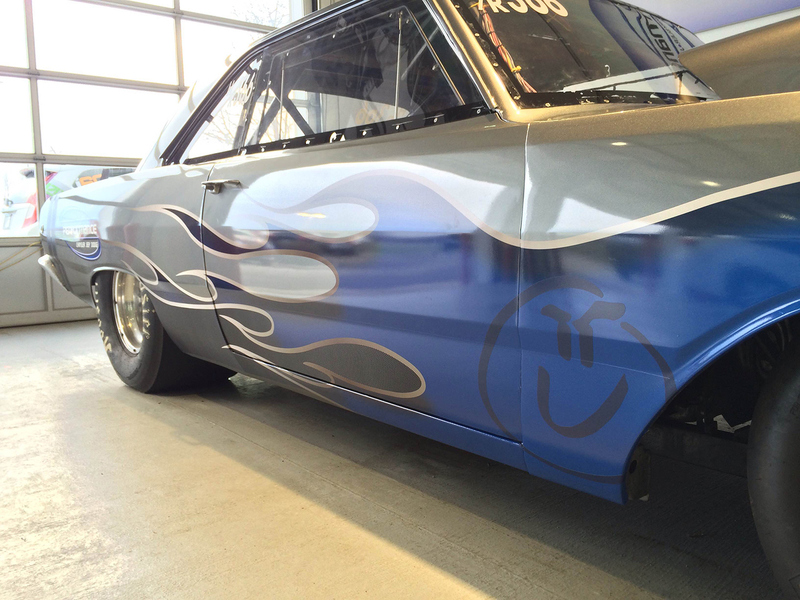 When we were asked to wrap a drag racing car, we absolutely jumped at the chance. 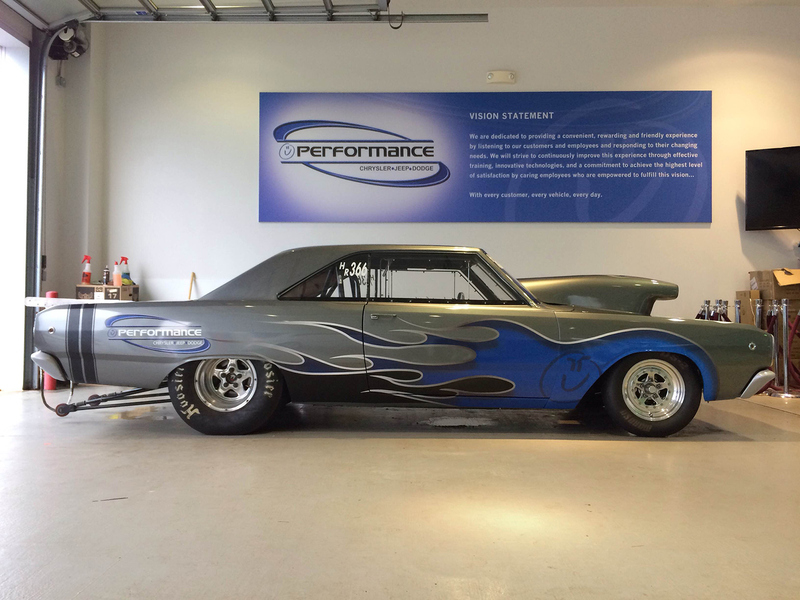 After running through a couple ideas with the client, we both felt it was best to go with a classic flames look while incorporating some of the main sponsor’s branding. 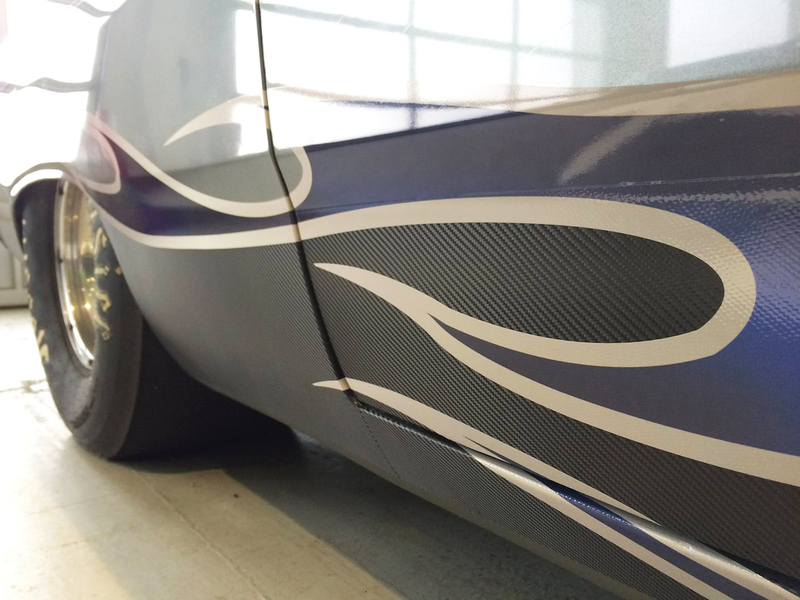 The result was a classic car boosted to a new level, and we even used some speciality carbon fiber vinyl to give it that extra special touch.